Arman FM is an online broadcast radio station in Kabul, Afghanistan. This radio brings you all the latest music from Afghanistan and around the world presented by some of the hottest young DJs in the country. It is providing Afganistan’s culture and Contemporary music, news and Entertainment, playing all the latest music from Afghanistan and around the world presented. ARMAN FM’s programs are exceptionally varied bringing the newest music from Afghanistan and around the world to the listeners. Tune in to the country’s most popular radio station on your FM dial on 98.1. or via satellite and the internet. 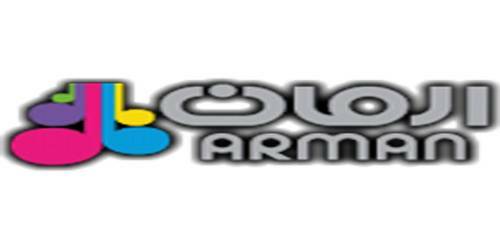 ARMAN FM takes its name from the Dari / Pashto word that means “hope” and changed the media landscape in Afghanistan since launch early 2003. Radio continues to be the most accepted form of media in Afghanistan, accessed by 90% of the population. Its entertainment-focused programs specify the young global trends, featuring local, regional and international music. The Radio station presents a nonstop connection to the restriction and belief of the Taliban years. This radio station’s awareness boomed with its audiences’ love to music and eagerness for revolutionizing. Chatting and engaging with the listeners and presenting the latest news, are also part of ARMAN FM’s focus. ARMAN FM’s target audiences are young Generations. This radio station also provides Business purposes; advertisers include Akira, Alekozay, Coke, Counter Narcotics Department, LG, Nestle, Roshan, UNFPA, UNICEF, Unilever and the Western Union, amongst others. Address: PO Box 1045, Central Post Office Kabul, Afghanistan. Contact no: +93 (0) 777981981.